How Sweden stood up to political chaos Jump to media player The BBC's James Landale reports from Sweden on the chaos caused by a newly-elected minority government - and how a steady path was steered through turbulent times. Proposed iron mine causes controversy Jump to media player A proposed iron mine is causing controversy in northern Sweden. The local Mayor says the mine could reverse the area's declining population. UK election: What might politicians learn from Sweden? 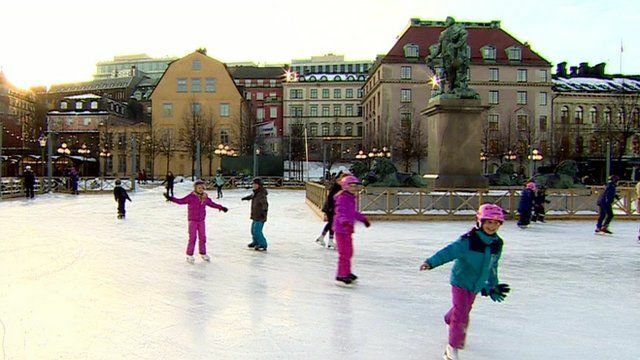 The BBC's James Landale reports from Sweden on the chaos caused by a newly-elected minority government - and how a steady path was steered through turbulent times. A minority government is one of several possible outcomes in the UK, if no party wins a majority after the elections in May.